Home > HRB Digital LLC. Found 2 file extension associations related to DeductionPro and 2 file formats developed specifically for use with DeductionPro. DeductionPro's accurate fair market values take the guesswork out of deductions, and our intuitive interface helps ensure you won't miss an important deduction that could save you money. Start getting more from your deductions. It's nice to know you're helping others, as well as yourself. 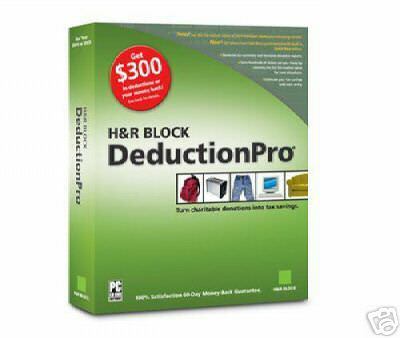 DeductionPro is now part of the H&R Block Deluxe and Premium programs. The DeductionPro software seems to be old or discontinued. If you need more information please contact the developers of DeductionPro (HRB Digital LLC. ), or check out their product website.